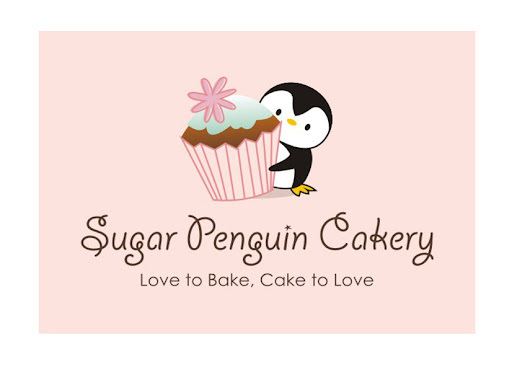 Sugar Penguin Cakery: Let's celebrate! Lots of things to celebrate in April! First off, nobody punk'd me during April's Fools Day. Then came Easter and birthday celebrations and let's not forget about my obsession with Game of Thrones. For this post, the first celebration this month is celebrating the first month of cute Baby Vanessa. The design is based of the Mom's beautiful announcement design of the singing bird. The color scheme is based on the soft pink with light purple accent that are used in the announcement card. Thank God for my Momma who came for a visit, she helped me boxing up the cakes and the cupcakes in the wee hours, attaching the announcement card, and tying all of the ribbons. I love you, Momma! Happy One Month Old baby Vanessa! !